Robin is the head honcho around the ranch! -Arizona State Champion 1998 with "Blaze"
Meagan has been working and training with Robin since 2011. She has two On The Lamb Border Collies, On the Lamb Jet (Sleet x Bean 2013) and On the Lamb Fly (Ace x Dot 2014), as well as a Pembroke Welsh Corgi. 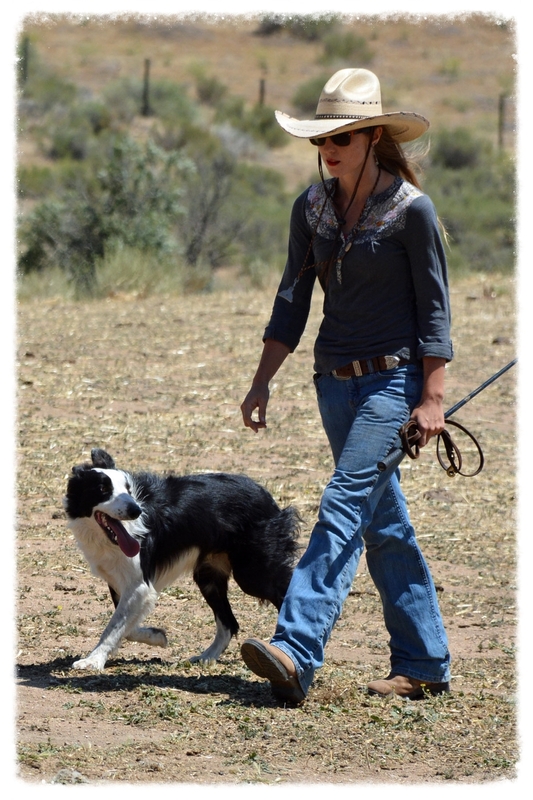 Meagan is the head shepherd and livestock manager at the ranch. She has had success in trialing in AHBA and AKC including many First Place and Reserve High In Trial awards.